At 72 years of age it seems that Van Morrison is more productive than ever. Last year the Irish singer released two albums – Roll With The Punches and Versatile and he is now preparing another for release on April 27. The new album follows the same template as its two predecessors in mixing covers with Morrison originals. 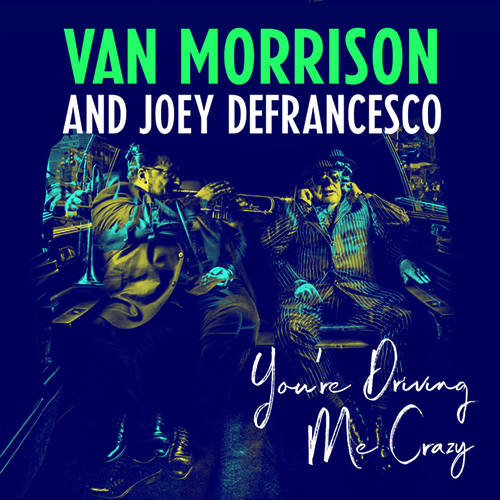 Titled You’re Driving Me Crazy, the new album sees the Irish legend reworking some of his own songs and covering some blues and jazz classics in collaboration with Hammond organ/trumpet virtuoso Joey DeFrancesco. It will be Morrison’s 39th studio album. 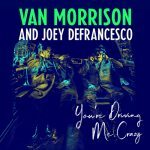 You’re Driving Me Crazy will be released as a single-CD and a double-LP. Morrison will also issue a limited-edition seven-inch single featuring his own song ‘Close Enough for Jazz’ backed by a cover of Guitar Slim’s ‘The Things I Used to Do’ for Record Store Day 2018 on Saturday, April 21. Along with DeFrancesco, the album features guitarist Dan Wilson, drummer Michael Ode and tenor saxophone player Troy Roberts.